I've wanted this for a while so when it was on offer for just under £30 at Boots I asked for it for Christmas. So far i'm really liking the different styles you can create with it and how easy it is to use. The only thing I can fault is that it doesn't do your hair any favours and mine had a slight burnt smell after I used it so its probably better to use a heat protection spray and avoid using it really regularly. I've been using this perfume for years and it's definitely one of my favourite scents. I have a large bottle at uni so my mum treated me to this giftset so that I can have a smaller bottle to use when i'm at home. The scented body lotions are also lovely and the scent lingers on your skin for a while which is nice too. As a huge animal lover this is one of my favourite presents. 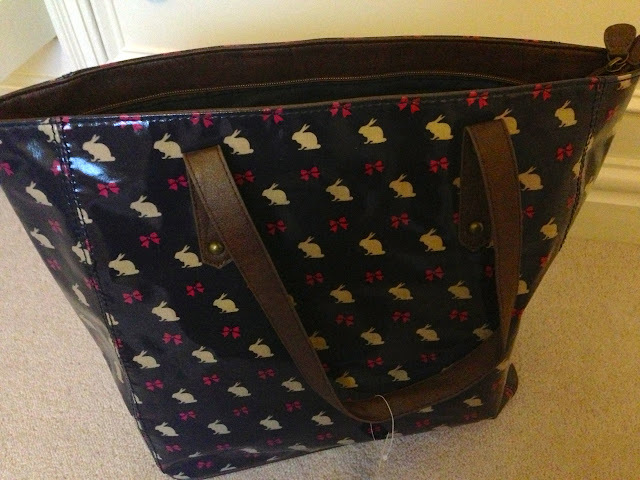 This bag is really good for travelling and I love the rabbit print design too! I can definitely see myself using it a lot especially as it's waterproof unlike a lot of my other bags. I've never bought anything from Hollister before but i've been wanting some comfy joggers for a while and thought i'd invest in a nice pair with my Christmas money. These are really nice and although they were expensive I can see myself wearing them a lot around the flat when i'm back at uni. I fell in love with the shirt and I know there are lots of much cheaper alternatives but this one fits really nicely and I thought it would last a bit longer. I love wearing it with leggings for a really simple look and it's made a nice addition to my wardrobe which is seriously lacking shirts! You got some lovely gifts! 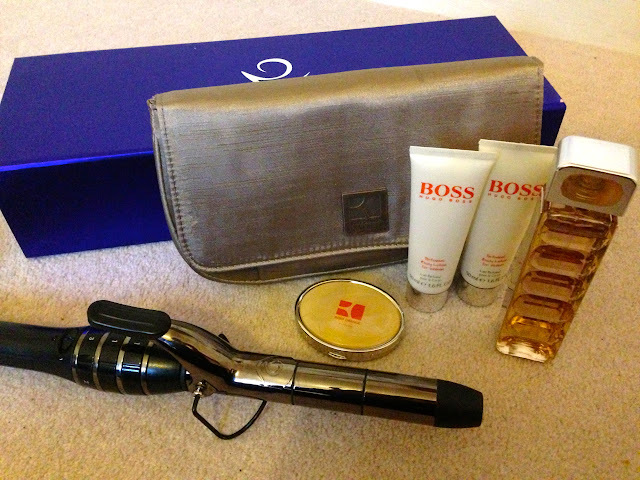 I love my totem styler! That shirt is so cute and I love the hugo boss set! These are so lovely! Loving the bag.